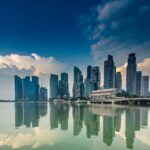 The FCA announced today that it had signed a Co-operation Agreement between Financial Conduct Authority (FCA) and Monetary Authority of Singapore (MAS). According to the agreement, the Authorities share a mutual desire to promote innovation in financial services in their respective markets. Both Authorities have established Innovation Functions in order to do so. The Authorities believe that through co-operation with each other, they will be able to further the promotion of innovation in their respective markets.